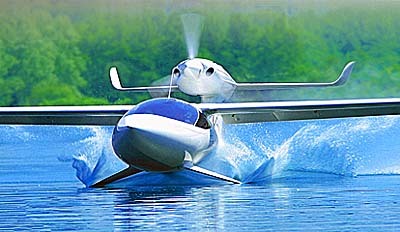 Vickers Aircraft’s coming Wave, a powerful LSA seaplane project; it hails from New Zealand. Recently I had an exchange with Australian Flying magazine editor, Steve Hitchen. He asked some great questions and after giving my responses I realized some of his question were common ones I hear being discussed. So why not share our give-and-take? Steve's questions are in blue. I'd like to talk about power. With LSA restricted to 120 KIAS, it seems unlikely we'll get much engine development to increase power unless regulations change to either allow an increase in speed or gross weight. Clubman is a beautiful customization of the B&F FK-9 that has sold well over the last two decades. Their U.S. rep is Hansen Air Group. 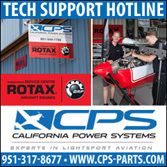 LSA are getting more power, to wit, Rotax’s new 915iS with 135-horsepower and the Continental Titan line with 180 horsepower. I do not think this is the end of the horsepower boosts …plus LSA speed and/or weight changes could conceivably follow in the USA but are currently not limitations in other countries that accept the ASTM standards as a basis for approval or certification. 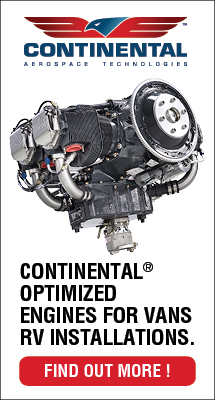 What would be the point of more powerful engines on LSA? FX1 is a fully updated version of the JetFox97. It makes significant use of carbon fiber construction. Well, beside pilots’ interest in having more power, aircraft operating at higher elevations and seaplane or floatplanes benefit from more power even when they cannot fly faster. There's already a lot of technology in LSA thanks to the need to save weight, which has me wondering where the sector is going. Can you provide me with some thoughts? Well, that topic could take us down quite a lengthy path. Let me offer a somewhat shorter reply. 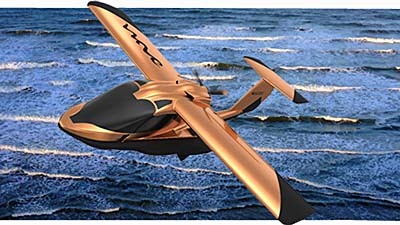 Lisa’s Akoya is a LSA seaplane with several innovations such as the Seafoils you see cutting the water. You are right about many tech developments — and on that I point you to an article published recently in General Aviation News' "The Pulse of Aviation." Two thoughts: (1) I believe the LSA sector has reached an interesting level of maturity. The pace of major innovations may have slowed but the most important developments are now common on most LSA (and light kits). This situation is not so different than smartphones that totally upended mobile a decade ago with the introduction of the iPhone. In a similar time period, that industry has also matured and development has lost its torrid pace. (2) The funny thing about innovation is you often don’t know how or when it might emerge. Electric propulsion is one possibility and then we are seeing the first glimmer of a new class of aircraft with a collection of spinning blades or rotating wings. Who can guess where precisely that is headed? Whatever the coming changes, they will work first on lighter aircraft. My article referenced above tries to speculate a bit. By the way, the use of technology seeks not only to save weight. New methods are used because they can, that is, developers don't need to jump through the regulatory hoops as demanded in Part 23. LSA developers can quickly implement new ideas and materials. 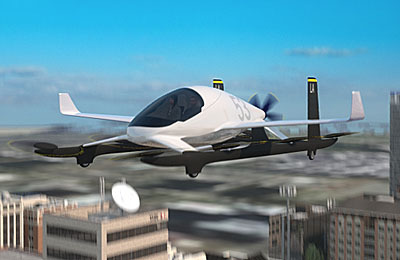 Boeing’s Aurora is one of a flock of new developments aimed at the air taxi trade but it could result in a sport model. Composite versus metal. Is there something else? What type of composites are in common use and what types are under development? What drives composite development? Does metal still have a future in LSA? Is mix-and-match of both the way to go? One definition of composite is "made of various materials." In the past "composite" implied fiberglass. LSA already rely on fiberglass, aluminum, and steel but add high-tech materials such as Kevlar, carbon fiber, and titanium. Today, the most advanced designs have significantly carbon fiber airframes, partly for weight but also strength as well as aerodynamic efficiency and design beauty. 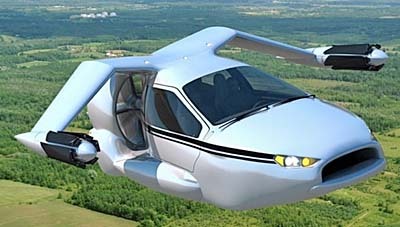 Terrafugia’s TF-X is a second generation of their “roadable airplane,” now more likely after a substantial investment from China’s Geely auto maker. However, metal seems here to stay, being highly established and proven. Its advantages in easy repair, easier-to-determine fatigue, and a widespread familiarity of working the material — along with low weight — will keep aluminum in play. What are the major construction methods? Is there room for the construction method to contribute to the aircraft performance in terms of weight saving? Aircraft like the Ekolot Topaz have fuselages formed in two halves then adhered together like a Revell P-51 model. Is this the way of the future? Is there room for mass production? North Wing’s smoothly-contoured Solairus Part 103 trike carriage shows how even older ideas can be dramatically upgraded. That's one beauty of fiberglass and carbon. You can have beautiful shapes and strength with weigh savings. Assembly ease is a factor, too. Those materials will surely persist for those reasons and for future production efficiencies. However, since nearly all airplanes are low-production — essentially hand-built with modest use of robotics, even at the Boeing or Airbus level — prospects for genuine mass production seem distant. Avionics development has seen technology cascade down from GA, but there is some that has been designed from scratch for the LSA sector, such as AoA Indicators. Which way will the technology flow in the future? Is EFIS going to become standard for LSAs or do the traditional clocks still have a place? Have we reached a pinnacle in LSA simply because the sector can operate without technology such as HUDs? Drone maker Yuneec’s concept four seat electric aircraft. Actually, I don’t believe it is accurate to say instrument technology cascaded down from GA. Instead, I think the best tech has cascaded UP, if you will, from lesser-regulated machines. Many airline pilots look at a modern LSA and say, “Wow, this is as good or better instrumentation than what I have in my airline cockpit!” For example, synthetic vision has been around for years already in LSA. Today, EFIS is pretty much standard in all LSA and, to some extent, that is spreading to Type Certified aircraft in the form of iPads that can now show full ADAHARS info plus traffic and weather. Since these can be handheld or yoke mounted, they need no FAA/CAA approvals. HUD is also coming but at more affordable prices. Who can predict what future tech is on the way. AoA has been around for years as well, and commonly the cost to add an AoA system is $200± per aircraft (as the digital screens can easily adapt to minor hardware additions); this is a small fraction of the cost on TC’d aircraft. One thing I feel sure of — the newest tech will appear in the least regulated aircraft first. As one more example, the very first use I know of for GPS, anywhere in aviation, was on hang gliders of all places. Weight-saving is always an issue for manufacturers. In Australia a land-based LSA can lift no more than 600 kg (1,320 pounds), so what can manufacturers do to increase their useful load? Are we reaching a dangerous situation where the aircraft are getting too light or are too heavy to include some desirable safety features, such as parachutes? Both airliner-building giants Boeing and Airbus are experimenting with small (1- and 2-seat) aircraft. This is a concept drawing for Airbus’ Vahana that just took its first flight. Perhaps we are pushing some boundaries if new ideas and materials are not forthcoming. However, they are forthcoming. I’m not too worried about it. For example, crush zone technology in cars did not add weight — in fact removed it compared to other methods — and this greatly added to safety. Are regulations stifling LSAs? Should LSAs be able to fly at up to 750 kg MTOW (1,650 pounds gross) to give manufacturers more design freedom? Is there anything that has to change to enable more technology to be used in LSA, and if so, what is it? 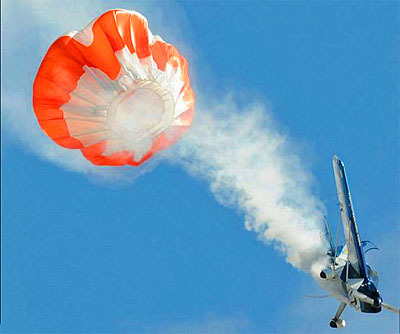 An airframe parachute is one of several innovations that started in light Aircraft and migrated up to larger aircraft. As a rule, I’d rather see less regulation to encourage more innovation. Even FAA appears to agree, based on their Part 23 rewrite recently released. Many tend to think regulation makes for safer aircraft, but (1) that is matter of diminishing return — how much safety is gained from more regulation? — and, (2) regulation is not the only way safety has advanced. Insurance companies have demanded improvements that FAA didn’t consider. Media people help improve designs by their critiques. Other industries contribute tech that improves safety, if regulations don’t prevent it. Consumers are another bulwark against dumb ideas and for more creative and cost-efficient safety solutions. Finally, competition stimulates improvements, the best of which quickly flash around an industry. Look how similar airliners or smartphones appear. The most successful ideas tend to be used by everyone in time. There's a lot there, but there's also a lot to think about. 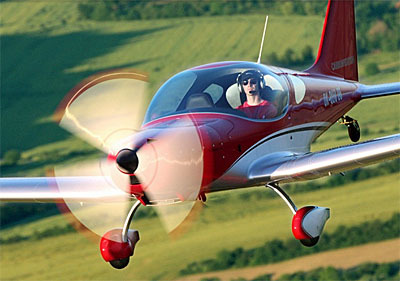 Until the rewrite of FAR23, the LSA sector led general aviation in technology, especially in the use of composites. The new FAR23 is sort of like catch-up regulation for GA, but where does the technology leader, LSA, go to from here? 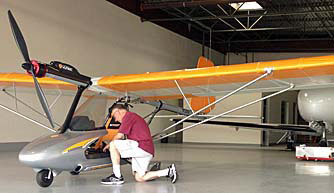 BRM Aero’s handsome Bristell, seen here in taildragger configuration, is a 5th generation design that shows how far the LSA industry has come in a short time. You are right that LSA is leading the innovation charge in many ways. Where can the industry go from here? We (LAMA) have spoken to FAA a lot in the last three years as we seek new opportunities within the present regulatory framework. It is perfectly clear that LSA were a significant reason why FAA went ahead with the Part 23 rewrite and use of industry consensus standards. To answer the future question, I again refer you to this recent article. The freshest new tech in aviation may come from outside aviation but I would never discount the passionate, imaginative, and motivated designers and developers operating in light aviation today. Recently I had an exchange with Australian Flying magazine editor, Steve Hitchen. He asked some great questions and after giving my responses I realized some of his question were common ones I hear being discussed. So why not share our give-and-take? Steve’s questions are in blue. I’d like to talk about power. With LSA restricted to 120 KIAS, it seems unlikely we’ll get much engine development to increase power unless regulations change to either allow an increase in speed or gross weight. 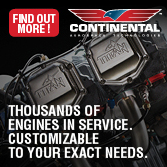 LSA are getting more power, to wit, Rotax’s new 915iS with 135-horsepower and the Continental Titan line with 180 horsepower. I do not think this is the end of the horsepower boosts …plus LSA speed and/or weight changes could conceivably follow in the USA but are currently not limitations in other countries that accept the ASTM standards as a basis for approval or certification. 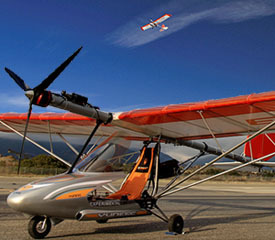 You might see the Flightstar ultralight in this aircraft and you'd be correct. Now owned by Yuneec International, the design has evolved into the eSpyder, a solely electric-powered aircraft and we believe it is the very first to win certification as an electric airplane (by the German-sanctioned authority called DULV). We speak with Flightstar designer Tom Peghiny about his creation and its systems. You might see the Flightstar ultralight in this aircraft and you’d be correct. Now owned by Yuneec International, the design has evolved into the eSpyder, a solely electric-powered aircraft and we believe it is the very first to win certification as an electric airplane (by the German-sanctioned authority called DULV). We speak with Flightstar designer Tom Peghiny about his creation and its systems. What’s with FAA’s Worry Over Electric Airplanes? Yuneec's eSpyder powered with an electric motor. I'm always impressed with good turns of phrase and cleverly-worded presentations. Given that I am a writer, I suppose that doesn't surprise you. However, I am even more impressed when someone can present a concept in such clear language that everyone gets it right away. Following is such a story. My longtime friend and fellow board member, Tom Peghiny, participated in our annual Light Aircraft Manufacturers Association board of directors meeting at EAA AirVenture Oshkosh, where EAA kindly provides a quiet, air-conditioned space for our group to meet. LAMA has four initiatives that the association is pursuing*. One of them is trying to break the logjam of electric propulsion In an FAA-organized gathering on this and other subjects at AirVenture 2014, industry experts observed that FAA never intended to block electric power. Agency rulewriters were intent on preventing use of turbine engines on LSA so the regulation specifies reciprocating engines only, effectively blocking electric power even if doing so was never the goal. While only a couple sentences in the preamble to the rule prevent electric — along with an important definition — FAA personnel replied that it is now a major challenge to change their rule, even though most appeared to agree it was never their intention to prevent electric power. Since the SP/LSA rule was released in 2004, lithium batteries have grabbed the attention of FAA officials in a very powerful way. The fires onboard Boeing's 787 Dreamliner made news all around the world after FAA had given their approval to the new design. Today, any talk of advancing electric propulsion on the lightest-of-all aircraft where the technology is currently quite viable brings an immediate response about lithium battery fires. The danger of an onboard fire is so scary that some authorities seem unable to see a solution beyond the hazard. As board members discussed how to move the needle on LAMA's electric propulsion initiative, board member Tom proposed a scenario that soon had everyone in the board meeting either laughing out loud or smiling broadly. He supposed ... "Imagine if all airplanes were currently powered by electric motors and someone came along with a great new idea to power airplanes with gasoline." Perhaps it would be best if I present Tom's hilarious lines using an imaginary dialogue between an inventor and FAA officials. INVENTOR: "FAA, I have an idea. I think we might be able to power airplanes with a fluid. It might prove to be very efficient." FAA: "Oh, what's that? We have to be very careful with new ideas, you know." INVENTOR: "We'll it's an explosive liquid ... really packs a punch. It could keep aircraft aloft for hours at a time." FAA: "Explosive! Oh, we don't like the sound of that very much." INVENTOR: "No, really. This stuff, called gasoline, has a very high energy density, is compact, can be easily loaded onto the aircraft, doesn't cost too much for the energy it delivers ..." FAA: "Don't try to snow us with all that technobabble. You said 'explosive,' didn't you? We're still trying to wrap our minds around that." INVENTOR: "Oh, it can be done without much danger. We'll put the fuel in the wings. We'll put a firewall between the engine and the occupants. Fuel lines will be carefully routed around the cockpit." FAA: "You mean you want to pump an explosive liquid near the occupants, put it into an engine compartment forward of the cockpit, make a spark many times per second, and explode this stuff in cylinders!?" INVENTOR: "Yeah, I think it can work really well. This gasoline stuff ... sure it's highly flammable, but we can handle it safely." FAA: "Flammable! Explosive! Sparks to ignite it! All with the occupants downwind of this stuff!?" INVENTOR: "Yeah, FAA. This gasoline thing is gonna be big. We might even use it automobiles, in lawn mowers, and in children's toys." FAA: "Hold on, wait a minute, stop right now. I can't see us approving such an energy source for perhaps years. This sounds crazy. Who would possibly think carrying around hundreds of pounds of explosive liquid in a three dimensional environment could be safe. We're going to have to examine this very carefully. It could take decades." INVENTOR: "Oh, man. I don't think I can stay in business that long. FAA: "Yeah, well, we have reliable electric-powered airplanes today. We honestly don't know what you are thinking with this half-baked idea to carry gasoline in airplanes. Plus, we're obliged to alert the automobile, lawn mower, and children's toy regulators since you mentioned those products as well. FAA: (walking away muttering under their breath...) "What on earth will these crackpots come up with next. Really, gasoline on airplanes. That's just nuts. We better form a new department to confront this possibility. What if Mr. Inventor is right and this gasoline-on-airplanes idea should take off. Crazy ..." INVENTOR: (sighing deeply...) "Dang it! I thought this was such a great idea, but man, convincing these government folks is going to be tough. Whew! Better join LAMA and see if they can help." OK, that last sentence is tongue-in-cheek, but that's the story. Hope you liked it. I'm still smiling from Tom's sharp-as-a-pin humor. Thanks, Tom! • LAMA's four initiatives are: (1) aerial work for LSA; (2) fully-built, SLSA gyroplanes; (3) electric propulsion; and, (4) simplifying the LODA process for training in sub-87 knot airplanes. I’m always impressed with good turns of phrase and cleverly-worded presentations. Given that I am a writer, I suppose that doesn’t surprise you. However, I am even more impressed when someone can present a concept in such clear language that everyone gets it right away. Following is such a story. My longtime friend and fellow board member, Tom Peghiny, participated in our annual Light Aircraft Manufacturers Association board of directors meeting at EAA AirVenture Oshkosh, where EAA kindly provides a quiet, air-conditioned space for our group to meet. LAMA has four initiatives that the association is pursuing*. One of them is trying to break the logjam of electric propulsion In an FAA-organized gathering on this and other subjects at AirVenture 2014, industry experts observed that FAA never intended to block electric power. Agency rulewriters were intent on preventing use of turbine engines on LSA so the regulation specifies reciprocating engines only, effectively blocking electric power even if doing so was never the goal. eSpyder and a another aircraft ... a great combo for a pilot wishing to learn more about electric aircraft. My first electric flight ... finally! I'm told I'm the first journalist to fly the current iteration of eSpyder. Yuneec gives way to GreenWing International for production but will continue providing the propulsion system. Motor, controller (behind small cooling fan), prop, batteries, and smart charging system are all Yuneec products. Time to learn new stuff, pilots. 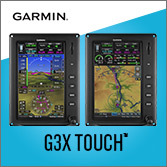 GreenWing plans to show all new electric motor software and a new interface at AirVenture 2013. Tony Settember, my check-out pilot, runs Foothills Flying Club, a pilot-friendly organization at Cable Airport (KCCB). From this view, eSpyder shows its Flightstar heritage, complete with appreciated BRS parachute. I was a little nervous, I admit. Oh, I wasn't worried about flying the eSpyder as an airplane. Many years ago I logged plenty of hours in a Flightstar single place ultralight and this was essentially the same airplane. Except it wasn't identical; this one was powered by an electric motor and it's funny how that changes everything. Like most of you, I only have experience with gasoline engines (though I have logged many hours of soaring time with no engine whatsoever). So, I have the usual set of knowledge and reflexes about fuel consumption, engine noise, power settings, climb rates ... and the sounds of all these things. It's all different on an electric airplane. Much as I had awaited this opportunity, I found myself apprehensive about the new experience. I've had three two-stroke engines go silent on me and I simply didn't know exactly what to expect from an electric motor. Spoiler alert: I needn't have worried. I have access to an electric golf cart. That's a good place to start as it's quite similar, in sound and smoothness. Yet as with the golf cart and like many who contemplate buying an electric car — not a hybrid, but a pure, plug-in electric — I found myself taxiing to the runway at Cable Airport in California experiencing what experts call "range anxiety." How long before the batteries run out and the engine ... 'er, motor, stops? The numbers are all different. Fuel, or better said, energy is measured in volts. I was starting out with full tanks ... 'er, a full charge, at 74 volts. I had a handy checklist strapped to my left leg (see below) and I was trying to wrap my brain around the unfamiliar numbers. A full charge was 74 volts but at 58 volts the motor would shut down thanks to energy management and maintenance software. So, 74 is full and 58 is empty. Power settings refer to a value expressed in KW. I was to climb at 25 KW (about 32 horsepower) for no more than two minutes, although my check-out pilot Tony Settember assured me test pilots had flown eSpyder for an hour with the throttle wide open. Cruise climb is done at 18-20 KW and cruising is done at 10-12 KW. You use a regular throttle, except it feels more like a lever-operated rheostat (a volume knob, basically) with little resistance throughout its range. So, I realized that the "language" of electric propulsion is different. Like most pilots I'm used to checklists and I willingly paid attention to the one strapped on my left leg. Following is verbatim from the checklist for eSpyder N12XW: 1. Switch on (Left side of panel) 2. Plug in EMERGENCY SHUT-OFF (Left side on floor) 3. Switch off (Left side of panel) 4. Turn key ON Right side of panel (wait one minute) 5. Turn on screen (Button center bottom of screen) 6. Unlock throttle (Push green button on throttle in) 7. Pull CHUTE SAFETY PIN (Stow in safe place) 8. Fasten Safety Harness 9. Run Up Minimums: 25 KW, 67 Volts — Take off 73 Volts (not below 72 Volts) — Return to field 62 Volts — Land by 60 Volts — Motor cuts off at 58 Volts — 25 KW for 2 Minutes (Take off power) — 18 - 20 KW Climb power — 10 - 12 KW Cruise power To understand more about eSpyder powered by Yuneec, check out the various power component parts. eSpyder carries two Lithium-Ion battery packs that weigh about 150 pounds, according to Tony. 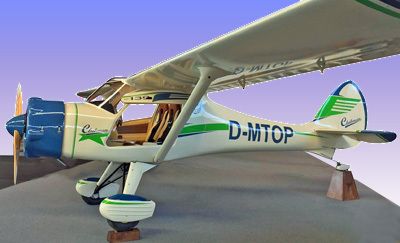 The airplane has to be certified as Experimental Amateur Built in the USA for now, though Germans and other Europeans can use the new DULV certification to buy a ready-to-fly model. The good news is build time is well under 100 hours; it's primarily a bolt-together kit. 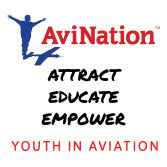 So, save a little and learn more about your new electric airplane. GreenWing will market a fully built aircraft when FAA figures out how they'll handle these "new" powerplants. You see, when the SP/LSA regulations were issued way back in 2004, FAA didn't want turbine engines making their way onto LSA, so they specified reciprocating engines only. However, that lack of foresight left out the electric development. ASTM hashed out and finally passed a standard for electric propulsion so the industry is ready. The likeliest outcome is that FAA may issue an exemption. The agency can learn about electric propulsion in this way and hopefully a rule change will later allow electric airplanes. You can read all the eSpyder tech specs and more at GreenWing International's recently completed website. Cable airport (KCCB), according to longtime resident and Foothills Flying Club operator Tony Settember, has for decades been a family owned airfield, the largest such public use airport in the world, with some 400 airplanes calling it home. As we drove in, the place seemed surrounded by quarry pits, not the friendliest-looking location to someone who was thinking about engine- ... 'er, motor-out landings. As Tony patiently explained, the area is actually quite accommodating as those big pits have immense wide roads running around them for an easy landing should the need arise. As soon as I went aloft, I saw what he meant and I relaxed into the flight. To begin, I went right around the pattern and made a landing, just to assure myself. With light, gusting winds only a shallow angle off the runway, my landing went well, even though I allowed a bit of drift to carry me off the centerline. On that second take off after a touch and go, the voltage supply read 60 plus a decimal. Since the checklist shows "Return to field at 62 volts" my concern returned. I forced myself to recall Tony's excellent briefing when he said not to worry about this, that when you back off full power the voltage would rise again. It did and so I set off for yonder dam, flying a few miles north across several open-pit rock quarries that also function as part of the water percolation system for the area. Sure enough the voltage came back up a bit. Twelve minutes into the flight, the voltage read 66.33 and I kept an eye on it to realize that voltage dropped very slowly. Twenty-five minutes into the flight I still had 64 and a decimal, so I further relaxed my range anxiety. The little eSpyder was the charming ultralight-type airplane I recalled from my past and I thoroughly enjoyed the flight. I banked around the foothills near the dam and kept pulling the earcup away from my head to easily hear ground traffic while the prop purred at an 11 KW power setting. A low-pitched whine — not remotely like the high-pitch scream of a two-stroke — proved to my ears that the motor was actually working. Otherwise, the near-silence is golden. At a field where no radio communication was necessary, I'd ditch the headset and enjoy that amazing quietness, second only to an unpowered sailplane or hang glider. Yet it was reassuring that with a flick of the throttle, the purring intensified every so slightly and up we went. In all, eSpyder proved an addicting experience. I want more! I think many pilots should experience electric flight and it's here now, in GreenWing's eSpyder powered by Yuneec. I hope you can go to Oshkosh and visit the GreenWing gang (main display in spaces 406 & 417 or flying display in Ultralight 938). I was a little nervous, I admit. Oh, I wasn’t worried about flying the eSpyder as an airplane. Many years ago I logged plenty of hours in a Flightstar single place ultralight and this was essentially the same airplane. Except it wasn’t identical; this one was powered by an electric motor and it’s funny how that changes everything. Like most of you, I only have experience with gasoline engines (though I have logged many hours of soaring time with no engine whatsoever). So, I have the usual set of knowledge and reflexes about fuel consumption, engine noise, power settings, climb rates … and the sounds of all these things. It’s all different on an electric airplane. Much as I had awaited this opportunity, I found myself apprehensive about the new experience. I’ve had three two-stroke engines go silent on me and I simply didn’t know exactly what to expect from an electric motor. Once upon a time the light aircraft industry announced new manufacturers and models at the rate of two, three, or even more every month ...for several years. As with every maturing industry before, this torrid pace had to slow. Yet the party isn't over, far from it. Contrarily, I am aware of several new projects in the works and we all know of some (Icon, Terrafugia, Lisa among others) where companies have been working on their designs for some years but they have yet to secure FAA approval as a Light-Sport Aircraft. Neither has GreenWing International, a new company announced this week though that may change quickly enough. "Yuneec International, a world leader in electric power systems, is proud to announce the formation of GreenWing International, [which is] entirely focused on bringing the revolution of electric power to the global general aviation market," announced company CEO Tian Yu. Enthusiasts following electric powered aircraft development first saw Yuneec's e430 at AirVenture 2009. 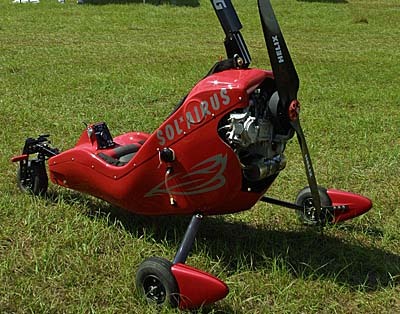 The Jiangsu-based company (just north of Shanghai) is very big in electric-powered radio controlled aircraft; their gyro-stabilized RC helicopters have sold in large numbers. 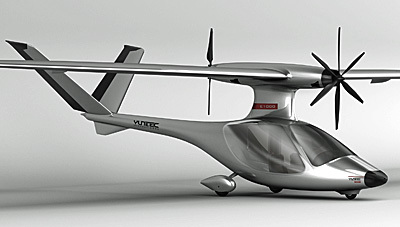 Yuneec will continue to focus on developing technologies for electric motors and power systems, but GreenWing said it will handle production of the eSpyder and e430 electric aircraft. Since the first flights of its electric powered planes in 2009, Yuneec has been advancing its electric propulsion technologies, and all GreenWing aircraft will be powered by Yuneec electric propulsion systems. 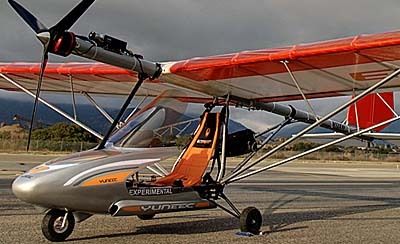 Since it showed the e430 four years ago, Yuneec acquired the design rights to the former Flightstar aircraft and has focused energy on the eSpyder, a pure electric light single seater. One and two seat varieties of Flightstar aircraft number about 1,000 aircraft and were sold all over the world. As GreenWing gears up to begin manufacturing the eSpyder its first major showing is this year's AirVenture Oshkosh. GreenWing said it will be bringing several eSpyder aircraft to AirVenture 2013 for ground and flight display. Both the single seat eSpyder and the two-seat e430 airplanes are nearing completion for initial production runs after undergoing extensive development and flight testing during the past year. GreenWing International can be found in spaces 406 & 417 at Oshkosh where the new company will provide additional news about their line of electric powered aircraft. 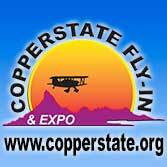 A satellite booth in the Ultralight Area of AirVenture will be used for daily flying demonstrations of the eSpyder. "This week we continue to fly the eSpyders as the last details are completed to get the most efficiency out of these remarkable planes," wrote Eric Bartsch, an American assisting the Shanghai company. "Recently we have had flights of more than an hour during our test program in California. I was flying one of the planes this morning and it is remarkable how quiet the powerplant is, and how different it is to hear all of the sounds from the cars, trucks, and equipment on the ground as you fly silently overhead." Eric related that recently his team on the ground was able to hear one of their test pilots talking in the cockpit as he flew past us after taking off. 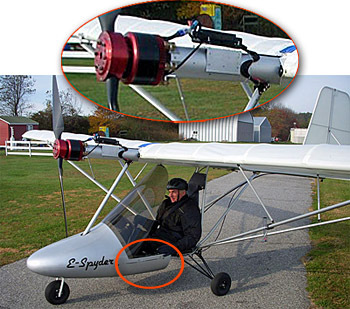 "The quietness, efficiency, and eco-friendly benefits of electric aviation are becoming a reality and we are proud to be part of the revolution with the eSpyder," he finished. Once upon a time the light aircraft industry announced new manufacturers and models at the rate of two, three, or even more every month …for several years. As with every maturing industry before, this torrid pace had to slow. Yet the party isn’t over, far from it. 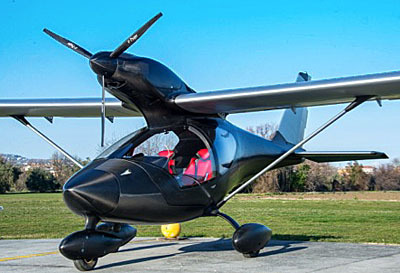 Contrarily, I am aware of several new projects in the works and we all know of some (Icon, Terrafugia, Lisa among others) where companies have been working on their designs for some years but they have yet to secure FAA approval as a Light-Sport Aircraft. Neither has GreenWing International, a new company announced this week though that may change quickly enough. “Yuneec International, a world leader in electric power systems, is proud to announce the formation of GreenWing International, [which is] entirely focused on bringing the revolution of electric power to the global general aviation market,” announced company CEO Tian Yu. Enthusiasts following electric powered aircraft development first saw Yuneec’s e430 at AirVenture 2009. A solar-panel-equipped Pegasus hangs above a display of several electric aircraft. Conducting a rare interview with Paolo Pascale, the managing director of LSA giant, Tecnam, in front of their new Astore. See our video. Lightsport and Ultralight Flyer had to arrive early in the morning to get this shot of the Fk 51 Mustang without a crowd around it. 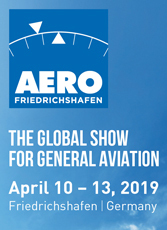 We were busy at Aero Friedrichshafen 2013, knocking out more than 30 videos for your viewing information and entertainment. That's more than seven videos per day and a sum of more than five hours total running time (more than three Hollywood movies in minutes of viewing time). With these and all the videos shot at Sun 'n Fun the week before Aero started, we expect to offer more than 300 videos on our LSA Video page. I'd like for you to understand how much effort that represents. I'd also like to thank BRS Parachutes, ICP North America, and Renegade Light Sport Aircraft for providing financial assistance to Lightsport and Ultralight Flyer. Without their support, these videos would not likely have been made. Today, I uploaded more than a dozen new videos to ByDanJohnson.com. We have many more coming. 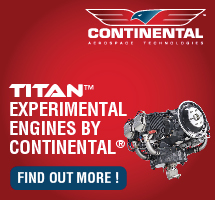 The newest ones include • Introduction to Aero and what you'll see • Tecnam's aerobatic Snap • FlyEco's Diesel engine • FK 51 replica Mustang • Yuneec's electric-powered eSpyder • lightweight electric aircraft • Zlin's customizable Bobber • ICP's Savannah taildragger and new engine • BOT SpeedCruiser with D-Motor • BRM Aero's Bristell taildragger • Phoenix Air's electric-powered ePhoenix • Nando Groppo tri-gear and, • one from AirVenture 2012 on the Zenith CH-650. You might better understand the work it takes to make a video by relating to major motion picture films from Hollywood or other movie making centers. You've probably seen "Making of ..." videos where the concepts, equipment, and tasks are explained in detail. Of course, Hollywood spends millions of dollars and often hundreds of man-hours for scenes that sometimes last just a few seconds. Naturally, my effort with Lightsport and Ultralight Flyer, which uploads to YouTube channel "UltralightNews" isn't the same as a big-budget Hollywood production. Nonetheless each video is no small effort and I'd like to give you just a glimpse. First you have to travel to where the action is, be it Sun 'n Fun in central Florida or a week later in southern Germany. Then you carry equipment and supplies for literally miles (or kilometers) at these big events to get to where airplane projects are being shown. Before shooting starts, you work with representatives that know their products and run through a routine to be used in video taping that is similar to live-studio productions ... that is, we coach the people being interviewed as to what they can expect and how to follow our lead. To save time and make the final production effort simpler, we try to keep editing to a minimum. These are not staged or scripted events and we work hard to avoid retakes. All interviews are essentially live action and we are grateful for those whose native language is not English as they participated. Honestly, though, all the above is the easy part. Once the video is captured much more is required. "Static" shots — those scenes you see while the interview continues on an audio track — are often shot early in the morning before crowds gather around new aircraft. Company video is secured to add action. After logging all the footage editing starts. This is at least a full day task for every one of the 10-minute videos you see here and on YouTube. Now that we have about 300 videos "in the can," we offer a library with the viewing-minutes equivalent of more than 33 full-length Hollywood movies. Believe me, we don't have Hollywood's multi-million dollar budgets nor do you pay anything to watch the videos. Thanks to all our subjects for their creative work designing airplanes and products and to Lightsport and Ultralight Flyer for the substantial post-production effort. 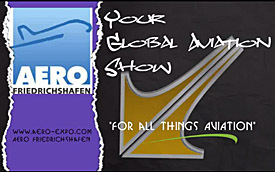 We were busy at Aero Friedrichshafen 2013, knocking out more than 30 videos for your viewing information and entertainment. That’s more than seven videos per day and a sum of more than five hours total running time (more than three Hollywood movies in minutes of viewing time). 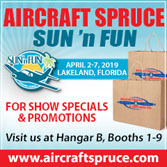 With these and all the videos shot at Sun ‘n Fun the week before Aero started, we expect to offer more than 300 videos on our LSA Video page. I’d like for you to understand how much effort that represents. I’d also like to thank BRS Parachutes, ICP North America, and Renegade Light Sport Aircraft for providing financial assistance to Lightsport and Ultralight Flyer. Without their support, these videos would not likely have been made. Today, I uploaded more than a dozen new videos to ByDanJohnson.com. We have many more coming. 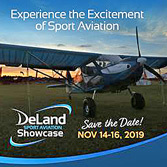 The newest ones include • Introduction to Aero and what you’ll see • Tecnam’s aerobatic Snap • FlyEco’s Diesel engine • FK 51 replica Mustang • Yuneec’s electric-powered eSpyder • lightweight electric aircraft • Zlin’s customizable Bobber • ICP’s Savannah taildragger and new engine • BOT SpeedCruiser with D-Motor • BRM Aero’s Bristell taildragger • Phoenix Air’s electric-powered ePhoenix • Nando Groppo tri-gear and, • one from AirVenture 2012 on the Zenith CH-650. Following up on my post two days ago, I’m happy to report Wired magazine just ran a story online about the Yuneec E-Spyder that Tom Peghiny of Flight Designs has been developing for them. The story has several excellent photos and it’s a good write-up, so click on over there to see how the mainstream media is helping push public awareness of electric aviation. *** Here’s the Wired video of the E-Spyder that ought to whet your appetite for electric flight…I can’t wait to get back to the states and get over to Tom’s to do my own story on it. 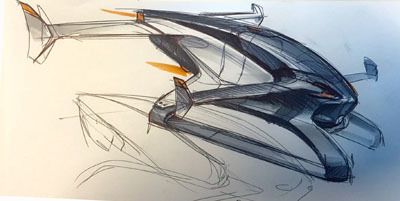 Update 10/29/10 — After Jim Lawrence and I did our bits on the E-Spyder and electric airplanes, Wired blogger Jason Paur wrote another piece for Wired Autopia that represents more great reading you should check out. Jason’s newest article summarizes all the electric-powered light aircraft developments quite well. Prototype version #3 has longer wings and a slide-in battery box (circled) that greatly streamlines the look. E-Spyder launches against a beautiful backdrop of New England fall colors. The extended wings of E-Spyder #3 have sheared wingtips not unlike those used by the AirCam. Spark Lamontange, pilot in these photos, was for years a partner in Flightstar Sportplanes. He's highly accomplished in flying these models. You’re probably aware of the auto industry’s billion-dollar bet on electric cars. Skeptics are plentiful. Same for airplanes. Despite doubts, even Cessna and Bye Energy are teaming up on an electric 172. Other LSA electric projects are also underway and it’s all good in my mind. *** Most e-powered aircraft remain in the future. Yet here today is the E-Spyder. You can place an order that’ll set you back less than $30,000. Plus it’s a true Part 103 ultralight meaning you don’t need no stinkin’ government license to fly it. *** I wish I lived closer to Woodstock Connecticut where co-developer Tom Peghiny is flying Yuneec’s E-Spyder along with a few trusted friends. The one they’re flying has longer wings and a battery-hiding compartment (top photo, circled). Tom wrote, “We have been flying a lot since finishing the plane in mid September.” So far Tom and team have taken 15 flights on the upgraded version. This prototype (#3) has many changes over the original that was shown at Airventure in 2009.